A lively story with humorous illustrations, ideal for children who are beginning to read for themselves, or for reading aloud together. 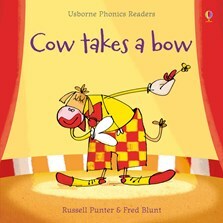 With simple rhyming text and phonic repetition specially designed to develop essential language and early reading skills. A lively story with humorous illustrations, ideal for children who are beginning to read solo, or for reading aloud together.